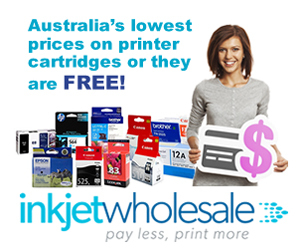 At Inkjet Wholesale, we’re mighty big on launches of new printer models as you most probably know if you read this blog. We’re constantly reporting on Original Equipment Manufacturers launching new printer models for their customers because we believe that the more options customers know about, the better their buying decisions will be. The most recent reports on this blog on printer launches, in case you’re interested, were Mimaki and Epson. Now, it is another OEM that has introduced new printer to its customers – Brother. Brother L5000 and L6000 series of printers were launched by the company last month and they’re said to be quite effective in the business environment. The two new series from the OEM mainly comprise monochrome laser printer devices and all in one printer models. Specifically, the new Brother L5000 and L6000 series of printers comprise six single function printer models, six all in one printer models, and three multifunction printers. The Brother L5000 and L6000 series of printers come with quite a few business centric advancements including multiple productivity enhancements, workflow solutions, higher volume printing features, and greater durability. According to the OEM, the new printer models offer greater “productivity, usability, flexibility, and enhanced mobility” since they are explicitly “engineered for business”. All the advancements inherent in the Brother L5000 and L6000 series of printers translate into better user interfaces, faster print speeds, and critically more rounded and comprehensive mobile printing compatibility. For instance, these series of printers are the first Brother models to ever be blessed with Google Cloud Print 2.0. Other mobile connectivity systems that these series of printers are compatible with include Mopria and Air Print. Apart from this, these series are also compatible with online or cloud storage services such as Onenote, Evernote, Onedrive, Box, Google Drive, and Dropbox. 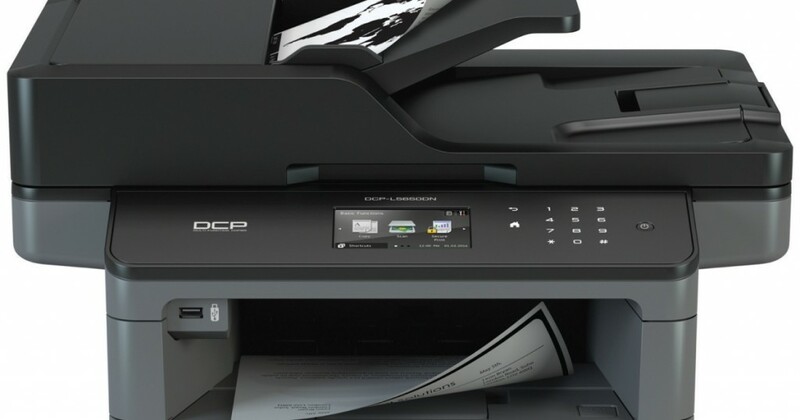 The OEM has even managed to integrate business systems such as Network Folder (CFIS), SSH Server (SFTP) and SharePoint compatibility to the functionality of the new Brother L5000 and L6000 series of printers. These elaborate storage service connectivity is based on the OEM’s proprietary Brother Web Connect Service that can be accessed via a touchscreen. The touchscreen itself is highly modifiable with the creation of up to 48 customised shortcuts possible. In terms of speed, the Brother L5000 and L6000 series of printers are typified by the Brother HL – L6300DW printer and MFC – L6800DW all in one printer. These printers are capable of churning out prints at a speed of 48 pages per minute while having scanning capacity of 50 pages per minute. Furthermore, every model in the Brother L5000 and L6000 series of printers can be had with a paper tray capacity of either 250 or 500 sheets amounting to a total of 1,610 sheets. The speed and capacity related features make the new Brother L5000 and L6000 series of printers highly productivity friendly. Another such feature is the cartridge capacity of these printers. The replacement cartridges in these printers can be of super high capacity which means 12,000 pages. Speed and capacity combined together, will allow business users of these new Brother printer models greater control over their total cost of ownership. As per reports, the OEM has already started rolling out machines in the new Brother L5000 and L6000 series of printers on a global scale. The rollout is expected to be finished by the end of March this year. It is as much a public relations tactic as genuine research when an OEM commissions a research or study designed to make either it or its products look good. However, in addition to this, such studies, researches, and surveys serve another purpose. They allow the OEM to get a finger on the pulse of its customer base. Essentially, they are designed to help the OEM develop business development strategies. Despite what you may think about these studies, they do reveal some interesting things which in most scenarios are related to people’s perceptions. Epson Europe recently commission a survey designed to find out the significance of printing in the business set up from the lens of whether a paperless office is viable or not. In the survey, about 3,600 employees in the European region were interviewed and asked questions about their existing work systems and preferences. As is obvious, their findings were quite positive. Of all the individuals surveyed, a massive 83 percent believed that a paperless office is unrealistic. The survey also comprised questions revolving around people’s preference between digital and hard copies of reports and brochures. On the basis of these questions, about 64 percent revealed that their preference was to read reports and brochures on printed paper. When these individuals were asked about their reasons, about 53 percent explained that printed papers are easier to share and hand over to someone else. 44 percent of the total number of European employees surveyed simply stated that their preferred printed paper because it’s easier to read. Another reason that was cited by approximately 41 percent of the surveyed individuals was that of the ease with which printed paper can be edited or annotated. This isn’t all that the survey asked. The survey also asked negatively inclined questions. The highlight of these questions was in which format errors were more likely to occur. The findings from this question were also positive. 62 percent of the people surveyed were of the opinion that people were more likely to make errors and mistakes when it comes to digital documents as opposed to printed documents. What you make of this survey and its findings is up to you. We are of the opinion that even though the survey was probably meant to be a public relations tactic, it still revealed the truth i.e. 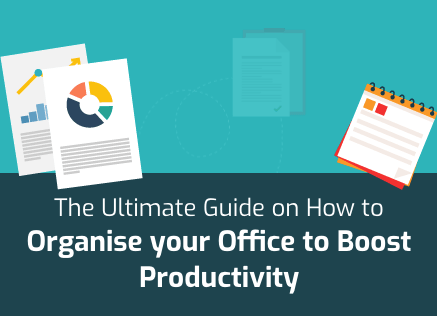 the reason why paperless offices haven’t materialised yet is that people not only prefer printed paper but are also more productive with them. Have you printed anything today?